Strawberries are without a doubt one of my favorite summer fruits. I eat them constantly as a snack and I also love incorporating them into both sweet and savory recipes. Lately I cannot stop roasting them! 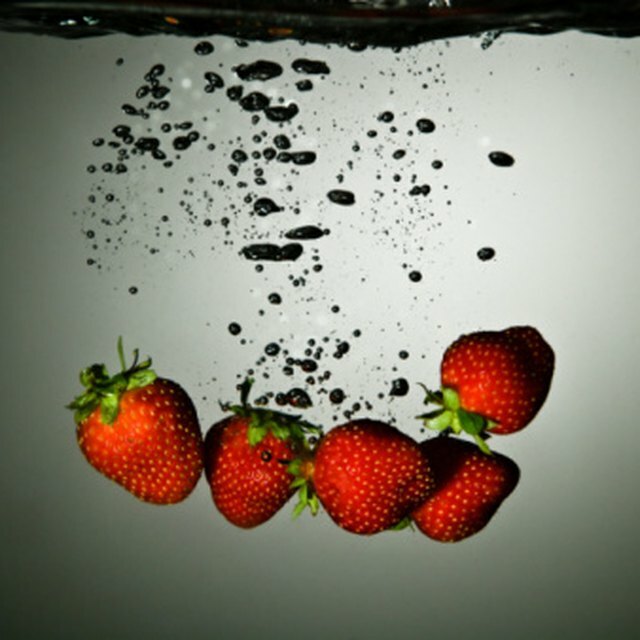 Roasted strawberries simply burst with flavors and juices. They’re incredible on top of ice cream but I also love using them as the base for a healthy, creamy salad dressing. I roast all berries exactly the same way: in a 400-degree-Fahrenheit oven, on a sheet pan lined with aluminum foil to catch all of those wonderful juices. It takes about 12 to 16 minutes and I shake the pan every 4 minutes to help them roast evenly. For best results, store the leftover dressing in the refrigerator and use within one week. Turn the oven to 400 F. Place approximately 1 cup of the strawberries onto a baking sheet lined with aluminum foil. Roast for 12 to 16 minutes, gently shaking the pan every 4 minutes so that the berries cook evenly. Allow to cool and then add the strawberries and pan juices to a blender. Add the olive oil, balsamic vinegar, salt and pepper. Puree until smooth. Divide the arugula evenly onto 4 plates. 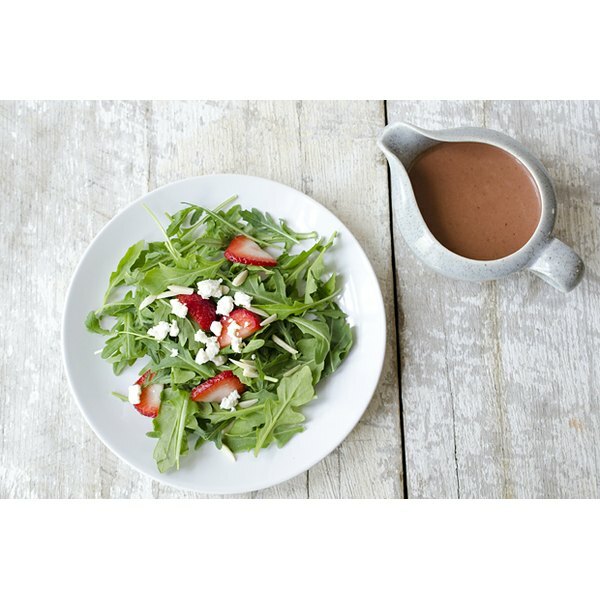 Top each plate with 2 tablespoons of slivered almonds, 2 tablespoons of feta cheese and the sliced strawberries.